The presentation marked the end of Imperial Tobacco’s record-breaking 34-year sponsorship of angling – the longest continuous involvement by any major sponsor in UK sporting history. Now Imperial Tobacco will no longer be able to sponsor the five Divisions of the National Championship, the Ladies National, the Veterans’ National and the Embassy Challenge, the world’s biggest and best pairs tournament, following the Government’s decision to end most tobacco sponsorship yesterday (Wednesday, July 30). Ken Ball, the president of the National Federation of Anglers, said: “Every angler in the land is sad to see the Embassy sponsorship taken away from us. Imperial Tobacco has sponsored angling for 34 years and, through their generosity, the sport of angling has benefited and so has the NFA. Embassy sponsored NFA-organised events in Ireland, Sweden, Denmark and Spain which brought exciting new locations to thousands of anglers. “Nobody has worked harder than Peter Manzi, Imperial Tobacco’s Marketing Manager, to improve sponsorship funding for angling and it highly unlikely that the NFA will find another sponsor to match Embassy for longevity. This sponsorship will take pride of place in the annals of angling history. Peter Manzi, the Marketing Manager for Imperial Tobacco, said: It has been a privilege and a great pleasure to be involved with the fantastic sport of angling. Of course, we are very disappointed that we are no longer being allowed to sponsor the seven National Championship events and the Embassy Challenge – everybody knows we would have been delighted to continue our sponsorship. I have great memories of Imperial Tobacco’s sponsorship and have made many friends, met some wonderful characters and watched many of the world’s greatest anglers in action. Our angling sponsorship has taken us to Sweden, Denmark, Ireland and Spain and it has always given us such a special thrill that so many anglers have returned year after year to fish the Embassy Challenge qualifiers. I would like to pay special tribute to the National Federation of Anglers who have made sure that all our events have run so efficiently and smoothly. I wish the NFA president, Ken Ball, and his hard-working and excellent team all the very best for the future. Thread: Are Fish Colour Blind? Each wins a 12 month subscription to a magazine relevant to the board from the David Hall Publishing portfolio. The winners need to email me at gareth.purnell@btinternet.com with their real name, plus their address, before the end of the month to claim their prize. Many thanks for David Hall Publishing for continuing to sponsor this competition. To find out more about the magazines and current subscription free gifts, CLICK HERE. Our man Darren Cox helps reader Lee Chambers catch more on the pole using pellets, on carp-filled fishery <?xml:namespace prefix = st1 ns = urn:schemas-microsoft-com:office:smarttags />Lindholme Lakes. This month, Des Shipp talks about the advantages of using corn over other baits in winter, and how to spice up your hook baits. APF’s Pat and Mark find the best pole-fishing venues in the UK and give you the lowdown on the methods that will provide you with bites in the coming months. This month, the lads visit BW Makins fishery to check out the pleasure lakes on Phase 2. Mark Sawyer reckons a continental balling-in approach will work wonders on any UK river. APF joins him on a session on the River Thames at Medley to find out the truth. Big man Richie Hull takes the APF cameras to Porth reservoir to show how any angler can succeed on large lakes with the pole. Top breadpunch rigs revealed by Fox Match’s Mark Pollard, England international Stuart Conroy and Parkdean Masters’ winner Ben Leach. The best bloodworm floats reviewed. APF have an exclusive review on Sensas’ new pole, the Powermatch 644. Since starting to operate six months ago, Angler Vista, the top rated search engine for the United Kingdom and Irish-based angler, has notched up an incredible quarter of a million searches and has compiled a list of over 2,000 UK-based angling sites. Having proved that a search engine based upon UK and Irish sites can be such a success, the company is now moving into another American-dominated market by setting up its own completely free-to-use auction site. Angler Vista Angling Auctions will enable visitors to place their unwanted fishing tackle, books and even angling memorabilia up for auction to the highest bidder. And unlike more general auction sites such as Ebay, the items will not be crowded out by products from the United States. The new Angler Vista Angling Auctions can be accessed by going to the main Angler Vista search engine site at: http://www.anglervista.co.uk and clicking on the relevant link. Happy bargain hunting! LEICESTER’S Terry Wright, aka Total-Fishing forum regular Izzetafox, poses with fishery owner Roy Marlow as he picks up his Shimano reel prize as one of the competition prize winners of the first Anglers Say poll. Nearly 1300 online anglers voted on whether they felt there should be more research into the river close season. If you have not seen the full results, CLICK HERE. The second Anglers Say poll is now well underway. 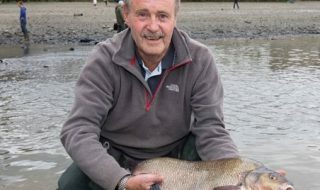 The subject is ‘Are carp-dominated commercial fisheries good for the sport?’ At the time of writing around 60 per cent are saying they think they are, and around 40 cent think they are not. If you are already registered, go to www.anglerssay.com, hit the login button and make your views known. If you are not yet registered, go to the website and complete the quick registration process. All members are able to enter a free competition, and the prize this month is one of five CD boxed sets featuring Total Fishing with Matt Hayes, as seen on the ‘Discovery Home & Leisure’ Channel. 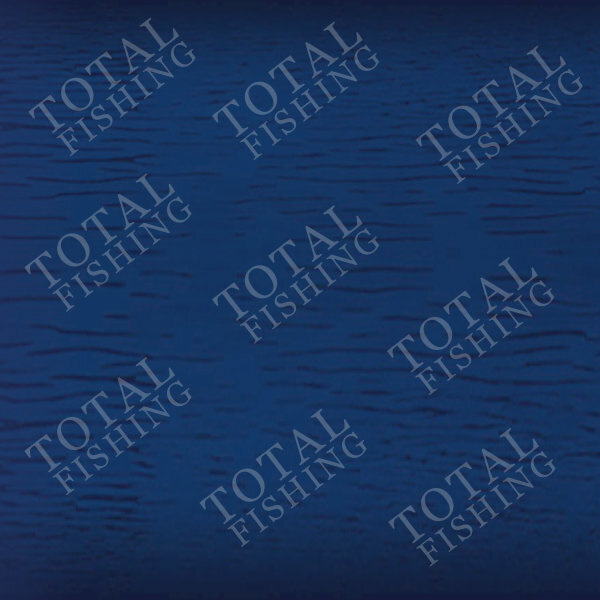 This boxed set comprises of five separate cds covering episodes 1-15 of the ever-popular ‘Total Fishing with Matt Hayes’ and includes trips with such stars as Jan Porter, Bob Church and Gordon Burton. THE winner of a year’s subscription to Match Fishing for the December Thread of the Month on the Coarse Forum is LEE WOOD for his ‘One Word Story’ thread. Fisherman’s Blues’ ‘Forum Questions from Yesteryear’ thread was probably better, but we reckon he gets free magazines anyway…. The winner of a year’s subscription to Total Carp for his Thread of the Month on the Carp Forum is JEFF LE MAISTRE with his ‘Terminal Velocity’ thread. <?xml:namespace prefix = o ns = urn:schemas-microsoft-com:office:office /> The winner of a year’s subscription to Total Sea Fishing for his Thread of the Month on the Sea Forum is WRISTY BOY for his News…’ thread about the new optional Total-Fishing online fishing club. All three winners need to send their postal addresses and renewal names where requires to gareth.purnell@btinternet.com . There is no winner on the Fly Fishing forum. For the latest special subscriptions gift offers to all of the above magazines, CLICK HERE. 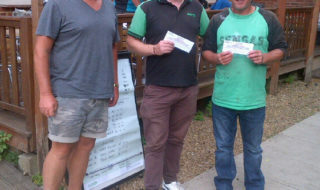 THE$ ‘thread of the month’ winner on the Coarse forum for June is Russ for his posting ‘Ringers in the Nationals’. 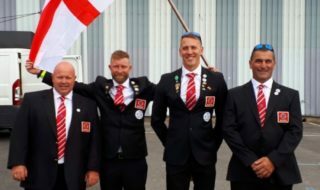 “It was a good post that sparked some lively debate and I feel got people thinking about exactly goes on at these blue riband events,” commented Mark Sawyer of sponsor Van den Eynde. Russ wins a case of Van den Eynde Liquid Meat flavouring. On the Sea forum the prize of a free subscription to Total Sea Fishing magazine goes to Smugder who hit the right note with his much responded to ‘Music to Fish to’ thread. Over on the Carp forum Carl Stanley wins a subscription to either Advanced Carp Fishing or the market-leading Total Carp magazine. His ‘Details’ thread, started in December, is still going and has got lots of you together and clocked up well over 140 replies. If the winners could email me at gareth.purnell@btinternet.com with their name and address details, I will sort out the prizes. Let me know which mag you want Carl! This month’s piece by Chilly should really be titled ‘Frimley Strikes Back’. Ian turns his attentions to Frimley Pit 2 and it doesn¹t go his way. The Hinder¹s headman is a strong believer in the use of particles in winter. <?xml:namespace prefix = st1 ns = urn:schemas-microsoft-com:office:smarttags />Bryan has a few tricks up his sleeve and he shares them here with you. Set in the heart of the Lea Valley in Hertfordshire Holyfields boasts an impressive amount of carp over 20lbs. Best of all it¹s only £8 a day to fish. New this month, Advanced Result gives readers the chance to tell their story about a PB, a good session or the capture of their target fish. They also win £250 of JRC tackle if their story is published. Blimey, something north of Watford in ACF. Smith¹s Pool is a true northern big fish water steeped in history. You can fish it on a cheap club book. It does look grim up there though. Our new bait series kicks off with top bait-bod Tony Mills talking through the basic ingredients of boilies. He also has a few tips on spicing your own baits up. If you have a Christmas money left over then here are a whole host of tackle items that you could be persuaded to part with your hard-earned for. The Pioneer from Trakker has proved very popular, even Pete Springate uses one. This new Ultralight version gets the once over by ACF. If you’ve been bad and Santa didn’t bring you a new set of rods and reels for Christmas then maybe you could win some in our easy to enter competition. There are two sets of the latest Prologic XLNT rods and reels up for grabs. That man Jacko just can’t keep away from Cotton Farm. Who can blame him when you see what¹s in there. It’s also about 2 minutes drive from his work, unlike Buchanans. Jacko¹s fortunes take a turn for the better this month. Only two members of the All Party Parliamentary Angling Group ventured out on the riverbank during the recent half term Parliamentary recess, but Martin Salter (Lab) and Charles Walker (Con) were pleased they did when they discovered a shoal of large Kennet perch in a feeding mood on the river near Newbury. Group chairman Martin Salter took a five fish catch in a couple of hours towards the end of the day between 2.5lbs and 3lbs on float-fished lobworms, whilst his Conservative vice chairman Charles Walker landed a personal best perch of 3lbs 2ozs on ledgered lobs from the tail end of the same swim.